Nicky was given his first professional contract at Hull City at the start of the 2008 / 2009 season after developing through the Tigers youth side. With limited options with the Premiership club, he signed was released by Hull to join Diamonds on a short term deal on 20 March 2009 at the age of 19. 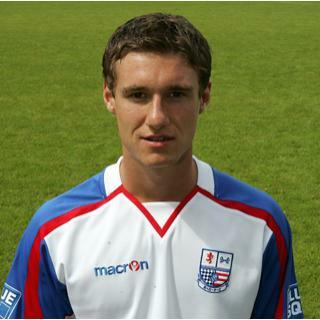 He made his debut as a substitute in the goalless draw at Grays Athletic on 31 March 2009, and then went on to make his first start on 13 April in the game at Histon. After making an impression, Nicky was awarded a one year deal on 29 April 2009. During the following season, his opportunities in the First Team were limited after picking up an injury early on. He played just 13 games that season, scoring all three of his goals in two Hillier senior Cup games. Nicky was released at the end of that season, joining Northern Counties East League Premier side Bridlington Town in August 2010, before stepping up to sign for NPL Premier side Bradford Park Avenue on 31 January 2011. Another spell with Bridlington followed before he missed the 2017-18 season through injury. He joined Barton Town prior to the 2018-19 season.